German flexible film packaging brand LEMO is in market for 60 years and provides customers with outstanding quality and innovative machines. 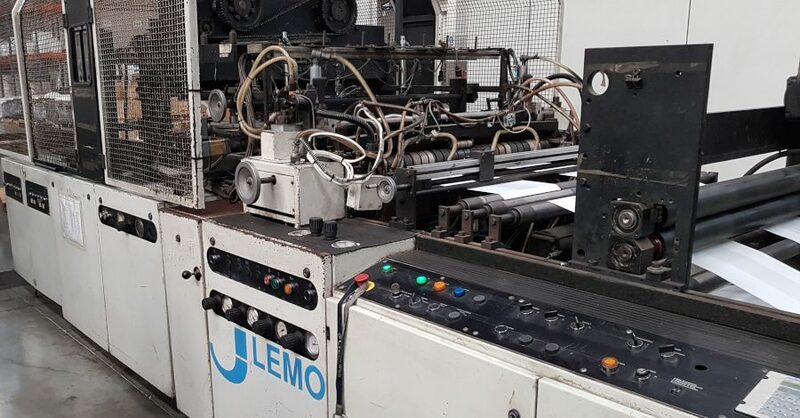 Machines are known for its longevity and in Euro Machinery we are selling many used LEMO machines in good condition like LEMO 1100 Draw Tape, LEMO INTERMAT IL 850 DKTL, LEMO INTERMAT IL and many others. We update our website constantly so please check out offers for used LEMO machinery and sign up for our weekly campaign. Euro Machinery has a great knowledge of LEMO and the expertise in selling versatile bag making machines for many years. We recommend LEMO the market leader of producing bag making machines in specialization for flexible film packaging. If you wish to buy or sell LEMO bag- making machines please contact us.